What an amazing sight. If you ever get the chance to visit Jackson Hole, Wyoming, do it. Herds of elk bed down right near the town. You can take a sleigh ride among them, stop, and just stare in wonder. They aren't bothered by the sleigh and horse as long as you stay inside the sleigh. 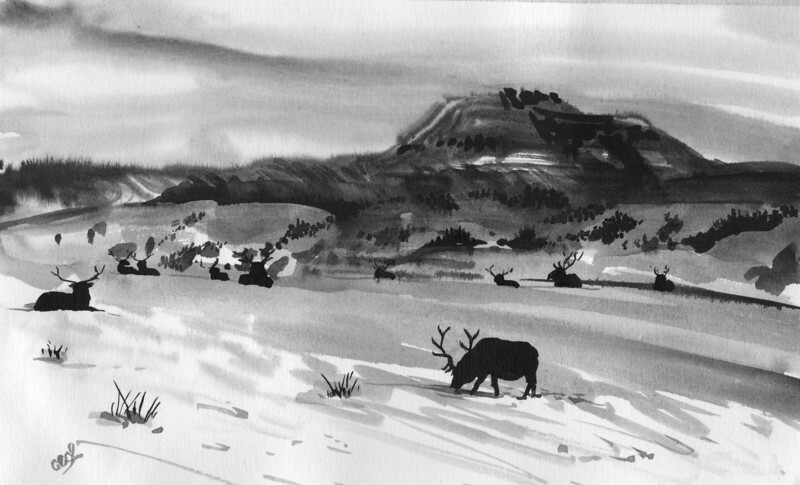 The lack of much color in the landscape made choosing pen and ink washes the natural choice.